OLD PARKED CARS. 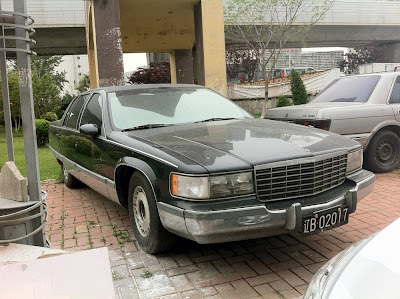 : China Bonus: 1993 Cadillac Fleetwood Brougham. China Bonus: 1993 Cadillac Fleetwood Brougham. At 225 inches overall, these were the longest production car ever made in the United States. I would love to be able to see yearly snapshots into the owners mind, from when they first considered importing it up until now, and also then ask them what they think about the car today. I just don't picture a boat like this in China! I, too, wonder what the owners were thinking, and what they thought afterward. 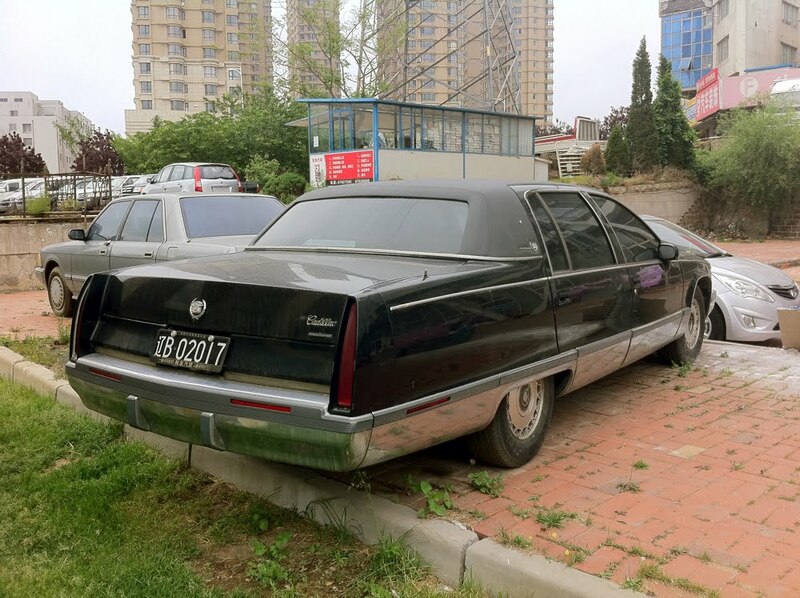 Does a Cadillac 'stand out' in China? that is a lot of chrome, all entirely unnecessary. in particular, i love the corrosion beneath the side-view window. 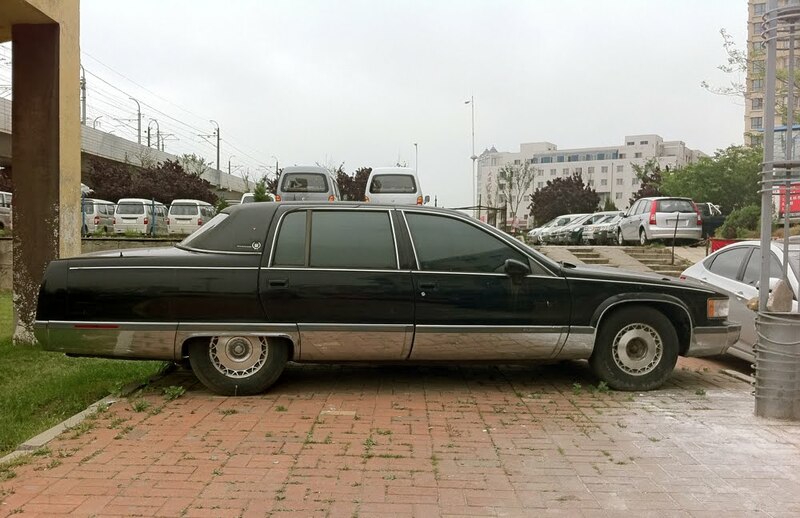 ... think it was a coincidence that the crown and the caddy were both parked up on that curb together? I can't imagine it was coincidence, and I really had to fight the urge to title the post something along the lines of "beached whales in China". But I found out that while the Crown is much bigger than most cars in China, it's 3600lb weight is really in a different class than the Caddy's 4500lb.